Rush Zero 24 ml in the large square bottle has of course the same novel ingredient as the 9ml version, but here you get for only 11,90 € more than twice as much content for long, hot nights and unbridled adventures full of passion. The new mega pellet was added to maintain the purity of this top product. 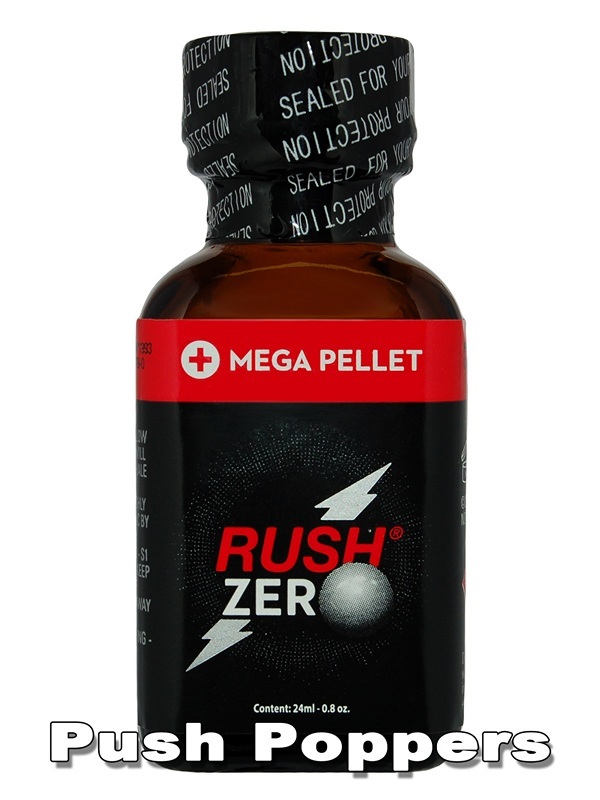 The large, round bead binds all the water and guarantees the absolute purity of the Rush Zero Poppers.